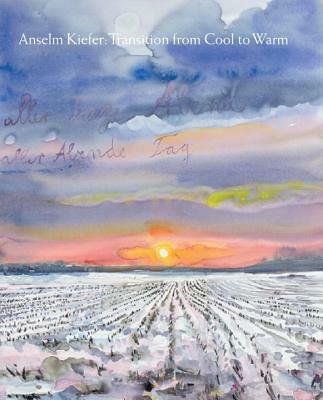 In 1974 Anselm Kiefer produced Erotik im Fernen Osten oder: Transition from Cool to Warm, a book of watercolors. Thirty years later, Gagosian Gallery’s newest catalogue marks Kiefer’s return to the medium, with works made between 2012 and 2015. More than forty unique artists’s books, their pages painted with gesso to mimic marble, can be found in the exciting new tome. Artists’s books are an integral part of Kiefer’s oeuvre; over time they have ranged in scale from the intimate to the monumental, and in materials, from lead to dried plant matter. In this selection of books, the sequences of narrative information and visual effect evoke the fragile endurance of the sacred and the spiritual through the female figures on the marbled pages. James Lawrence is a critic and historian of postwar and contemporary art. He is a frequent contributor to the Burlington Magazine and has written for catalogues of museums and galleries around the world. Norwegian novelist Karl Ove Knausgård is the author of the best-selling, six-volume, autobiographical series, Min Kamp. Louisa Buck is an art critic and contemporary art correspondent for the Art Newspaper.